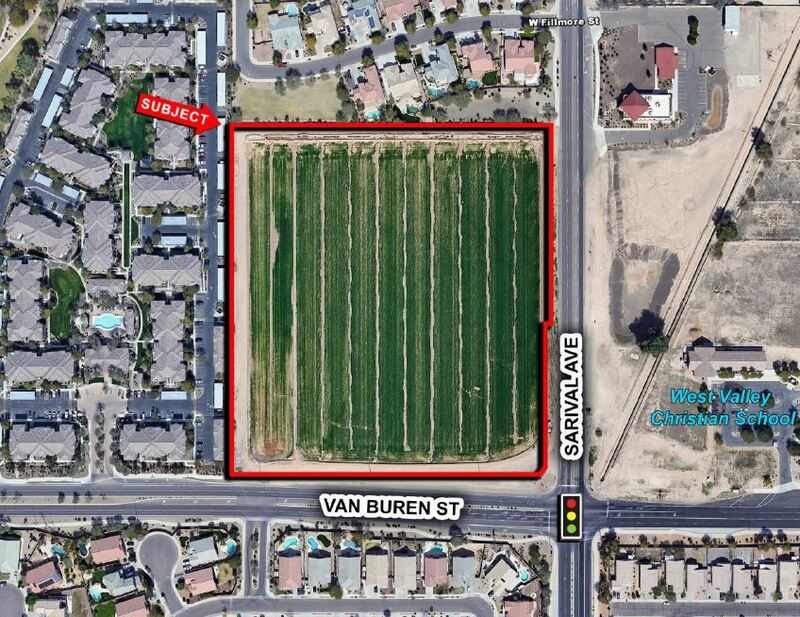 As one of the last remaining commercial hard corners in the Palm Valley area, this site is prime for a number of commercial/retail related uses. Over 1,000 units of planned forsale and for-rent residential within a one-mile radius. Property is currently farmed and is agricultural tax status. Seller’s will sell all or part, ground lease, or Build to Suit.